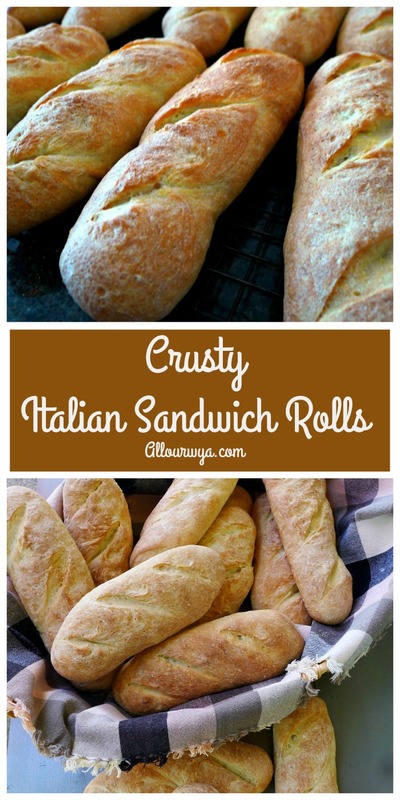 If you want true crusty delicious rolls with tender but substantial interior, this is the recipe to use! They are amazing!!! Thank you so much for publishing this recipe! 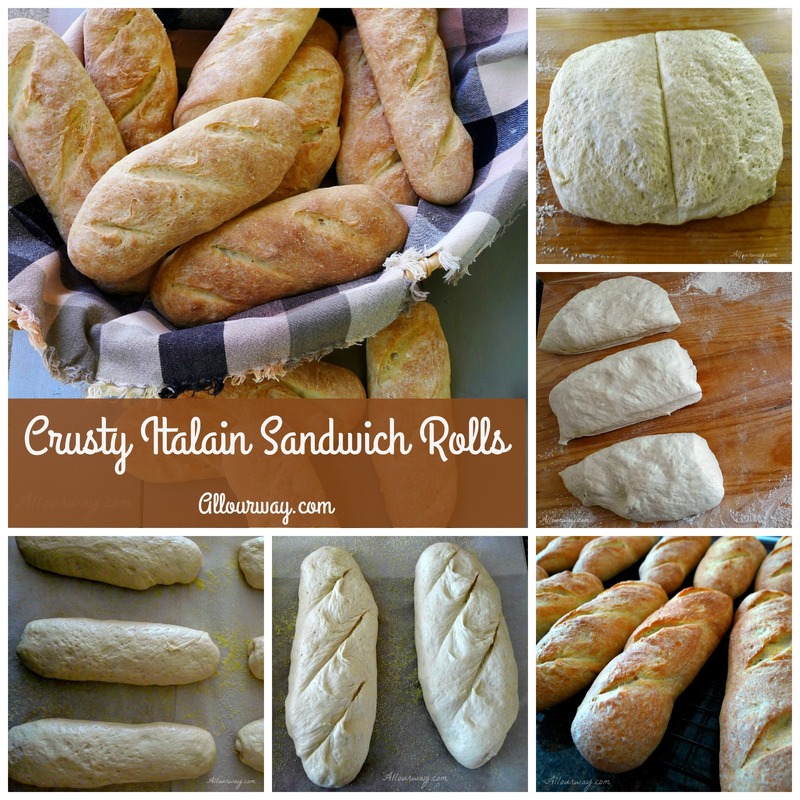 I am so excited about this recipe as I have struggled for years with finding bread for my Italian Beef Sandwiches here in Nashville. I have one question. I don’t have unbleached flour because I wasn’t paying attention when I grabbed the flour at the store. Does that matter too much? Hi, Jennifer! You’ll be okay with the bleached. We just use the unbleached because we find it’s better. Let me know how it turns out. Happy Baking! Would it be possible to skip the refrigeration if I am trying to cut down the time? So could I make the biga, let it stand at room temp for 3 hours and then jump right to Step 3? The delay helps in the taste of the bread. You could go ahead and make it but it won’t be as good. I’m sorry but delaying the time helps in the taste and texture of the bread. Thank you for this recipe! If I need to make the bread in a crunch, and can’t wait overnight, what would the minimum amount of time you would suggest for the bigga to rest beyond the 3 hours? Hi, Natalie! The resting time is important for the flavor. We’ve always let it sit in the fridge overnight. 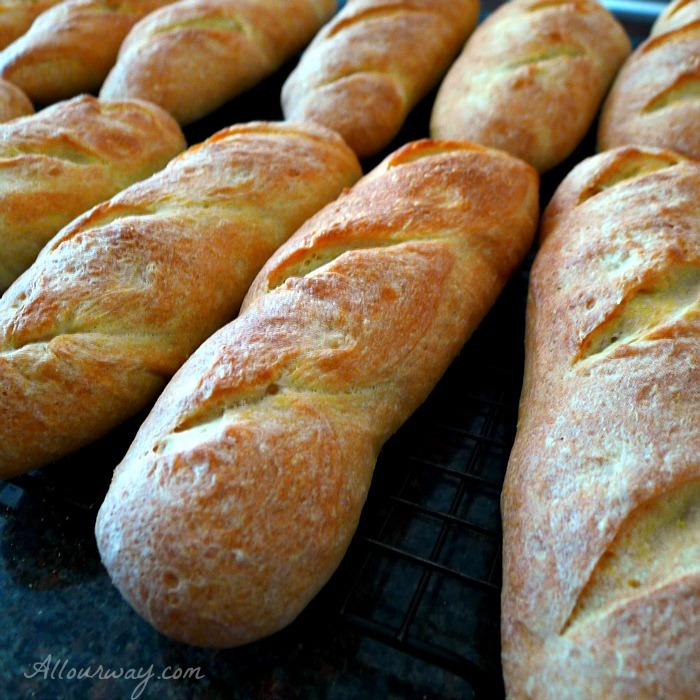 If you made the bread in the morning, let it sit for 3 hours, then give it an additional 3-4 hours in the fridge. That would slow down the process somewhat. What are you going to use the rolls for? We have a recipe for onion buns I could send you that is a quicker version than the crusty Italian Rolls. Just let me know. Hi Marisa! Thank you for your reply! I was able to get the bigga made in enough time to let it sit overnight, and I am so glad that I did. I am using the bins for beef dip sandwiches – something that will hold up to being dipped in hot beef consume. These buns are perfect! But, since you mention onion bins (be still my tastebuds), I would love your recipe. I am so glad I came across your site! Also, are the “cups” in your recipes US or British/Canadian cups? My scale has broken. Hi, Natalie! I would be using the US measure – Oh, poor you! We’ve become so dependent on our scale. It sure is easier to just dump and weigh, isn’ it? That’s wonderful, Natalie. Those buns will hold up to the beef dip sandwiches. I’ll write out the onion buns recipe and send it to you. We never had a chance to but it on the blog — but it sounds like a good idea. The buns are really good. Hope it’s not as cold where you are as it is here. Thank you so much for the story and great recipe! It encouraged me to give it a shot, and I have been having such a great time! 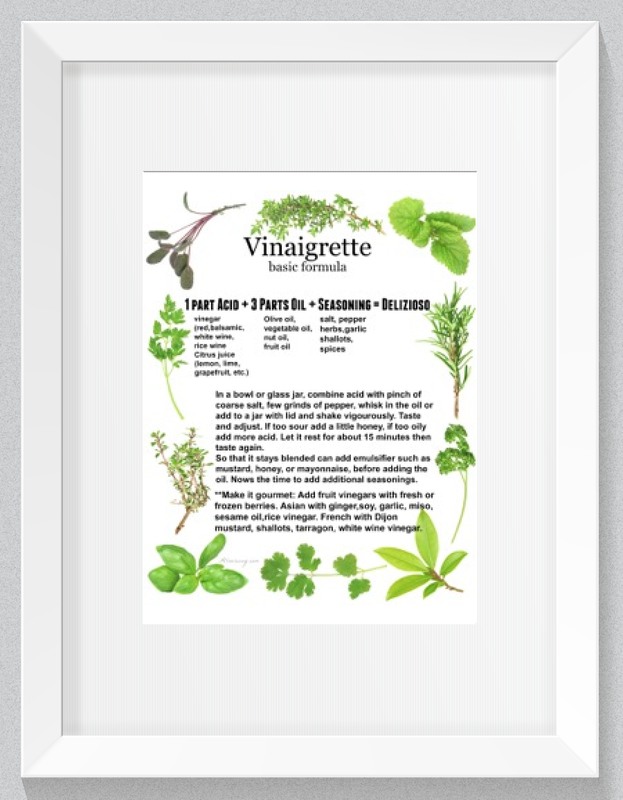 The recipe is adaptable and so forgiving. For example, after making exactly as you described a few times, I changed it up and added multi-grains (oat and whole wheat). I had no room in the fridge, so I kept the biga out on the counter overnight. It worked out fine! 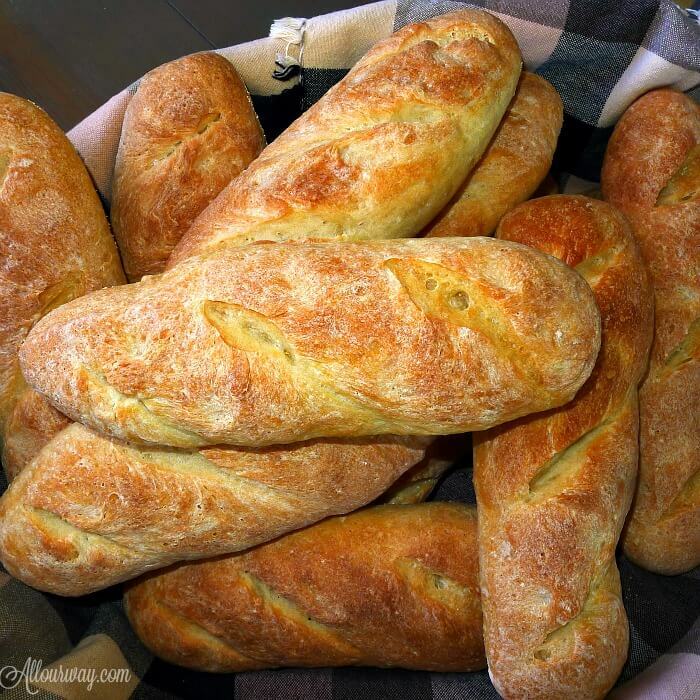 Another time, I needed more than a few loaves, so I took 1/2 the biga and made 1 batch in the mixer. Used the other 1/2 and made another batch. Got 8 tasty loaves, no problem! Yes, we freeze loaves, and enjoy this recipe with excellent results. Haha. Your dad had the right idea. Commercial bread is garbage!! Homemade all the way. Yours looks amazing! 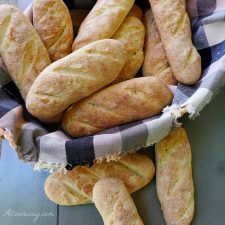 I can’t say no to good crusty bread with fresh butter, sometimes i’ll eat more of it than my meal!